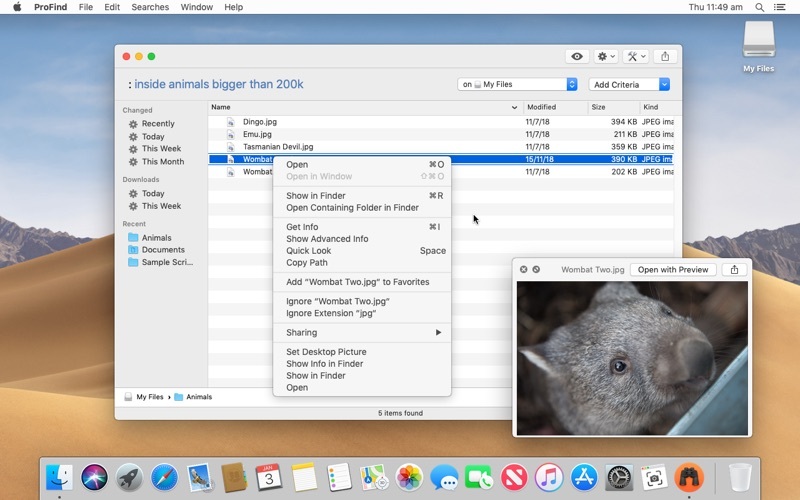 ProFind is advanced file search app for macOS. 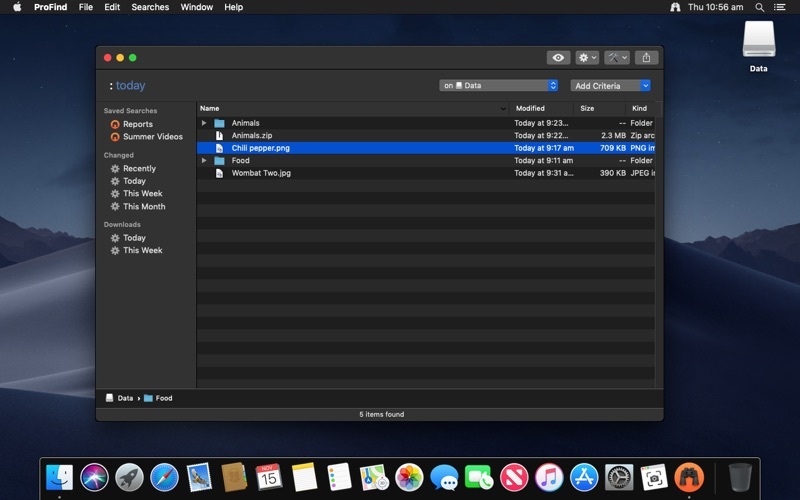 With powerful features and great performance, ProFind delivers advanced file search for macOS. 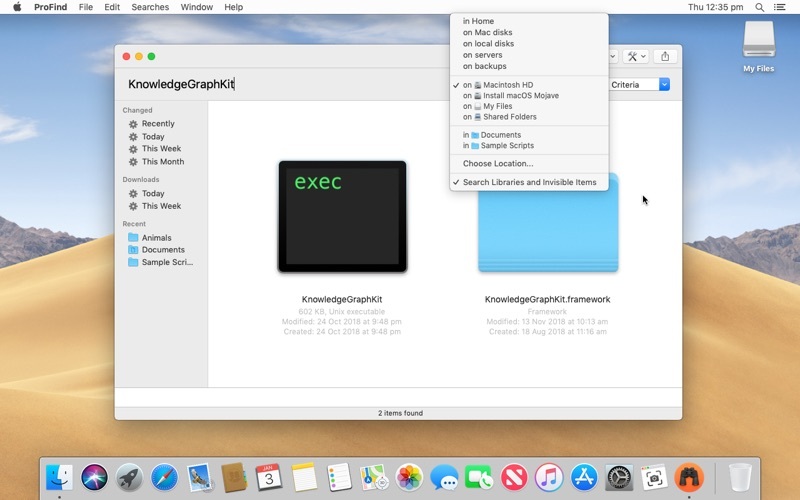 And with support for natural language queries, application launching, hidden location searches, scripting and more. 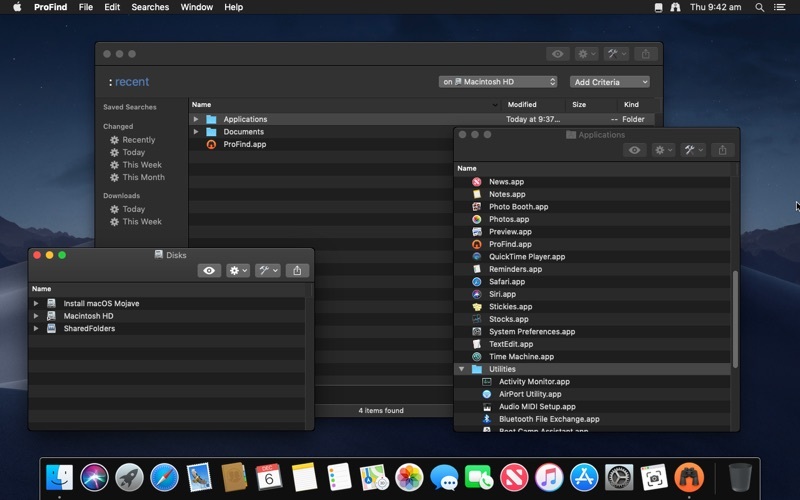 Under it’s elegant user interface, ProFind combines the power of macOS’s different search capabilities to make sure it finds all the files your looking for. And it’s been carefully tuned for performance and responsiveness. 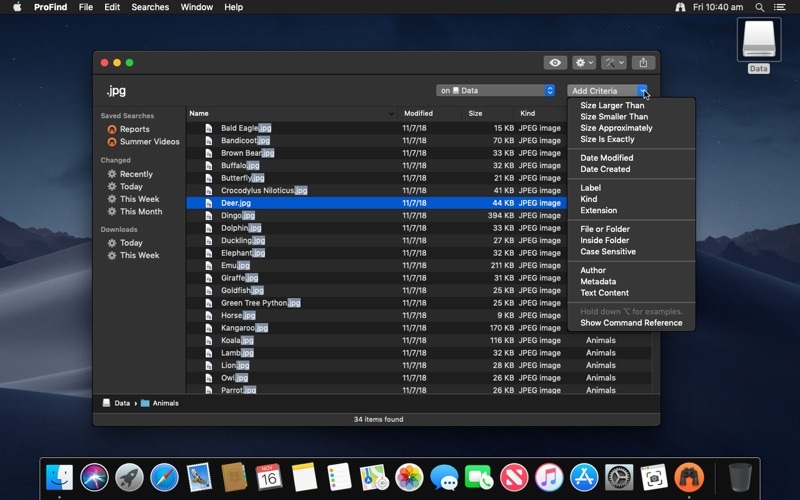 Much faster when searching for items which have previously been found during a search. This increases performance dramatically when refining search queries or filtering items. Enjoy.